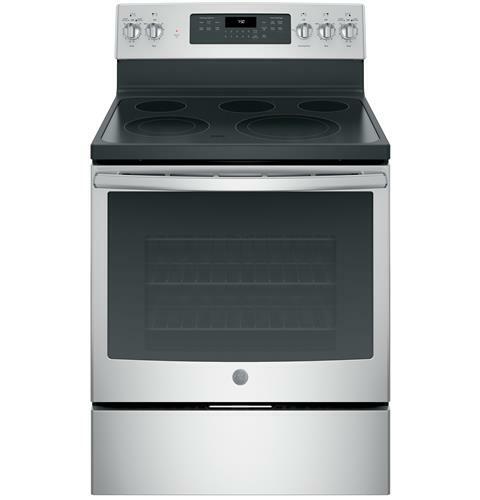 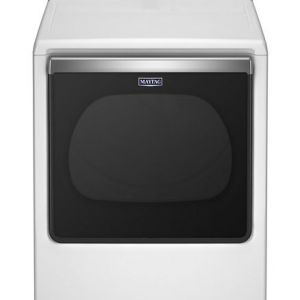 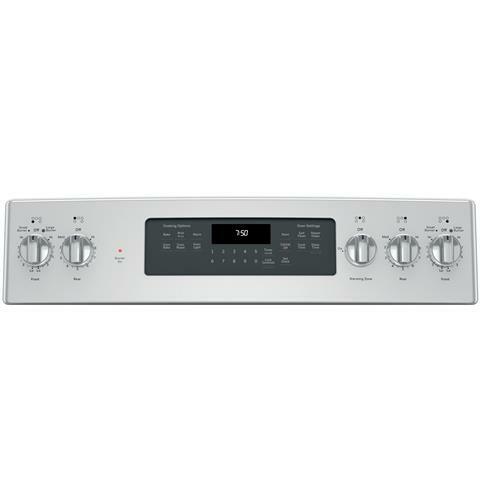 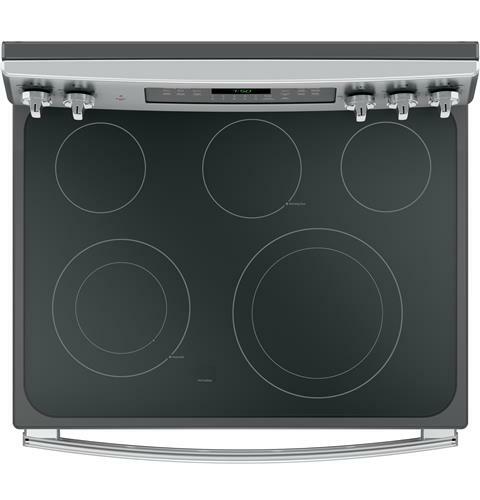 Enjoy the very best in-home cooking features thanks to this GE 30″ glass top range with convection cooking. 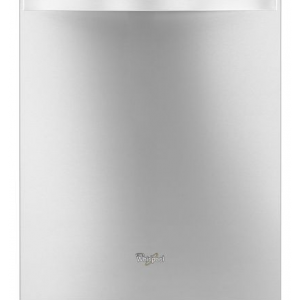 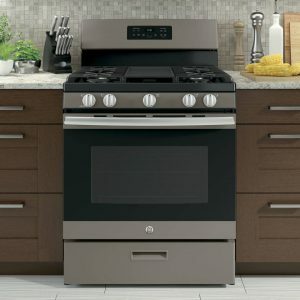 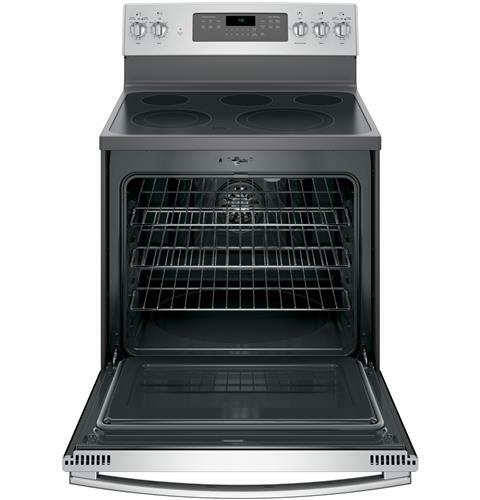 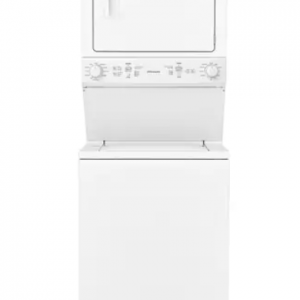 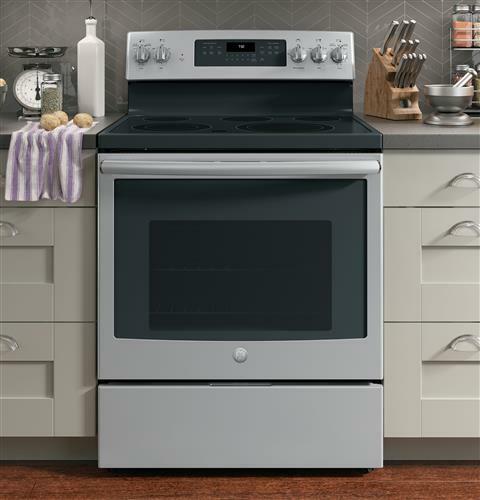 GE’s 30″ freestanding gas range features multiple glass cooktop and oven features including a dual surface element, fast preheating, and more. 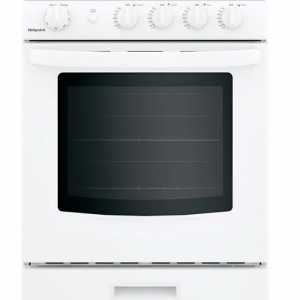 True European Precise Air Convection Provides the most even baking results of any range oven. 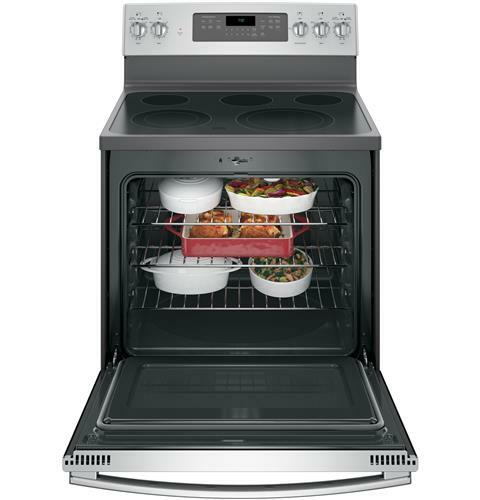 Fast Preheating The range oven heats to bake or broil temperature much faster than traditional models. 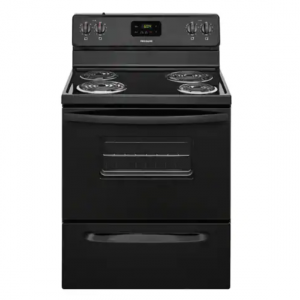 Dual Surface Element Choose between a 9″ or 12″ cooking surface using the same element. 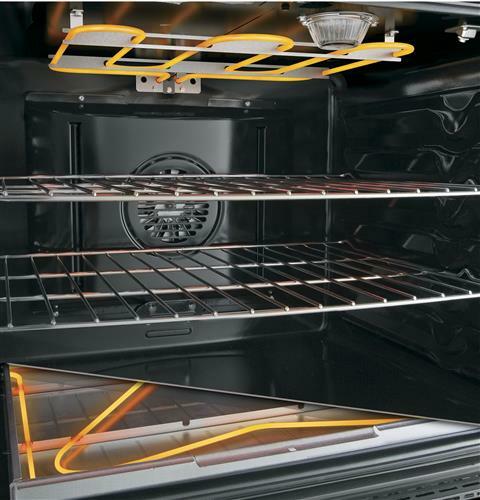 Hidden Bake Element Makes cleanup easy without having to navigate around an exposed element. 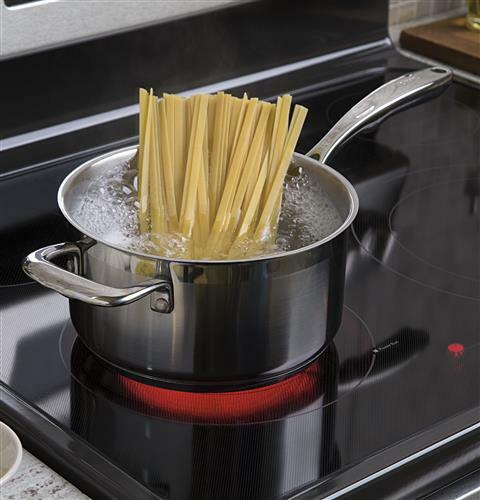 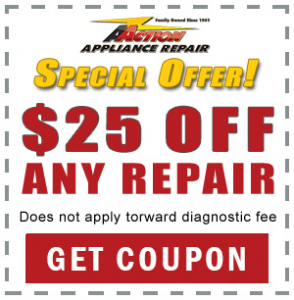 Steam Self-Clean Option No need to make your house smell bad due to fumes from a traditional self-cleaning cycle. 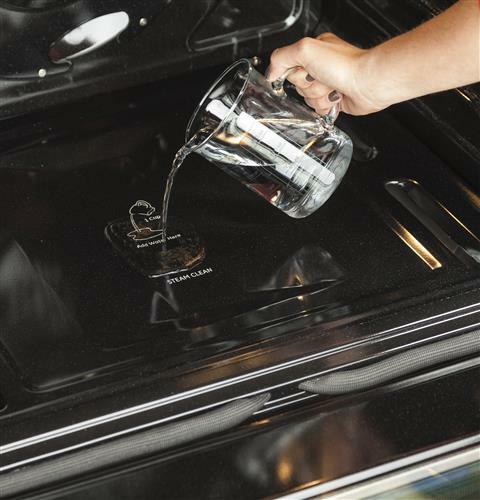 Fifth Element Warming Zone Perfect for keeping your dishes warm using a gentle low-heat element.